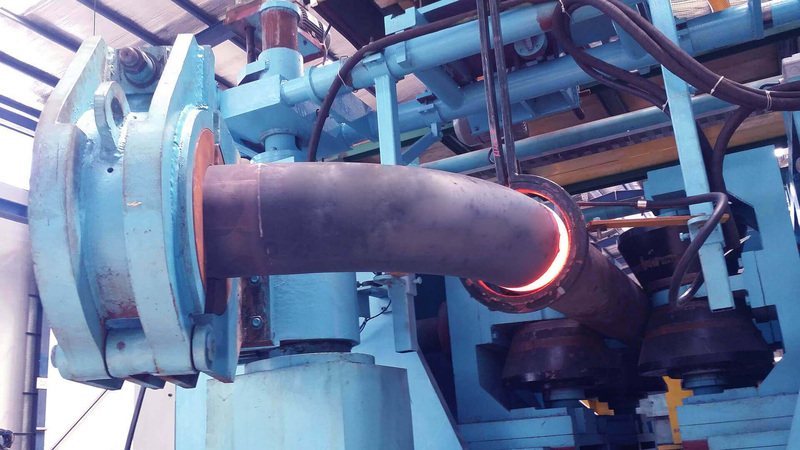 Induction bending uses the principal of Induction to locally heat a pipe. This results in a narrow heat band on the pipe. The heated material is shaped into a bend in a narrow zone as the pipe is pushed by a precise drive system in a heavy frame. The bend part is then cooled by water/air to make the bend shape. 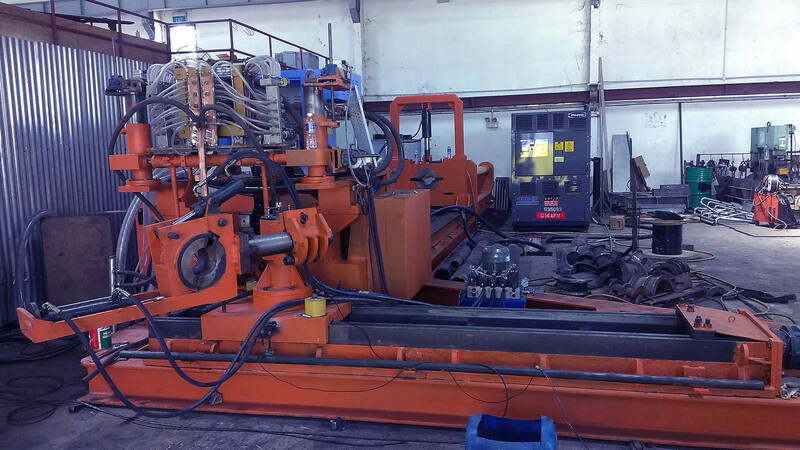 The bending process is continuous and automated. 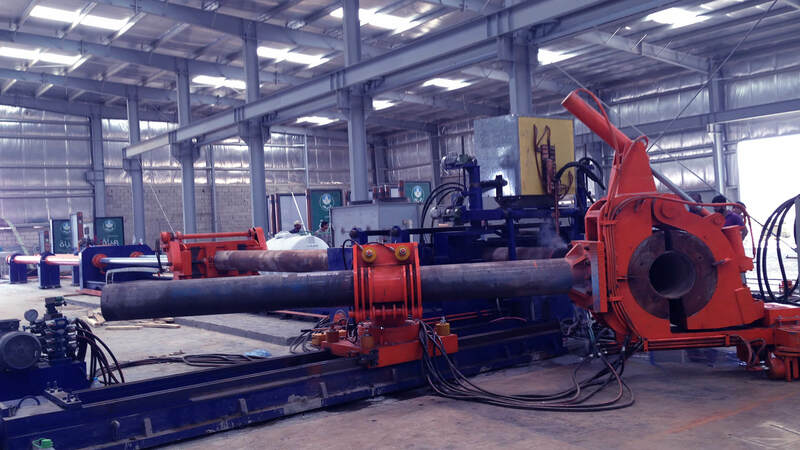 Induction bending does not require any sand filling or insertion of inner mandrels, bending time is considerably lesser. 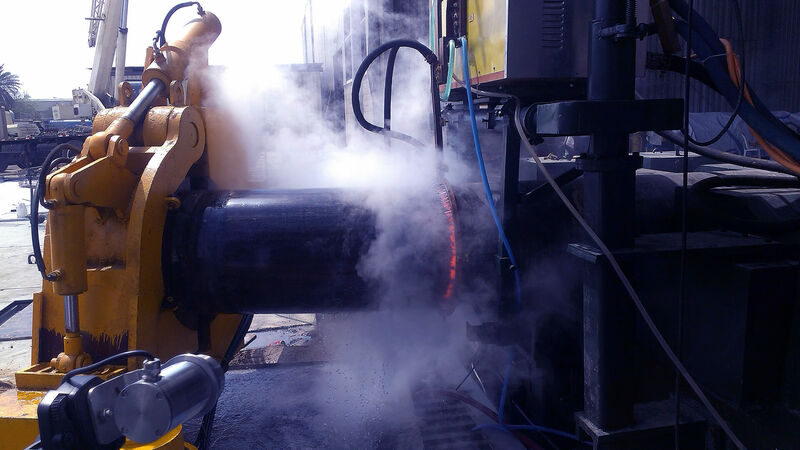 Induction bends are piggable and reduce the need of welding for many applications.